The past few weeks have been a little bit of a blur, so this is more like a monthly snapshot rather than a weekly one, oops! Crossing my fingers that we got our flat, and we did! | Yummy Special K Granola (you can win some in my giveaway here!) 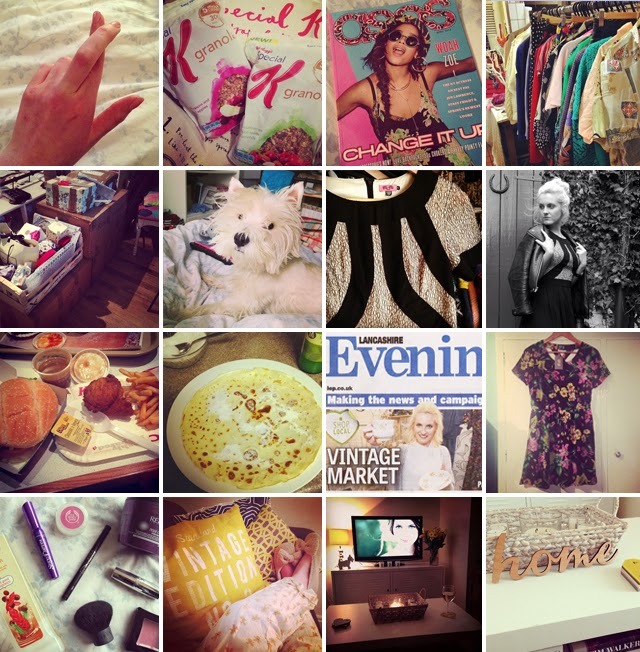 | Bedtime reading | Living the Vintage stall life | Let the packing commence! | Scruffy Toby working the au natural look | Gorgeous dress by Chi Chi | Outfit snaps in said dress | Naughty KFC treat | Obligatory pancake day photo | I was on the front page of the local paper! | Beautiful floral dress from Poppy Lux | My February beauty favourites | First night in our new home | Love our little living room | Gorgeous wood cut out from the talented Maria Allen.